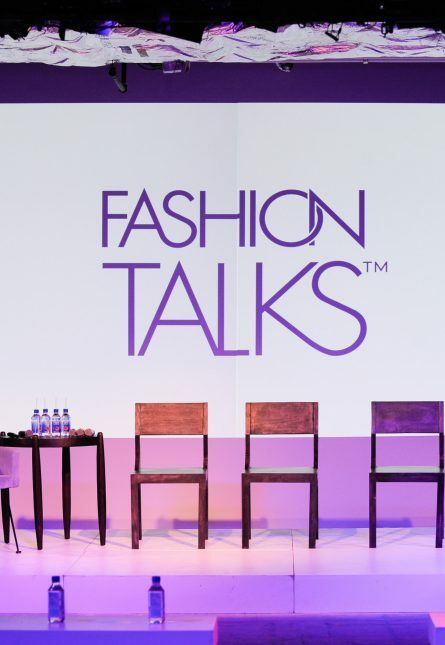 As the founder and host of Fashion Talks podcast, produced in partnership with CAFA, Donna Bishop is at the forefront of fashion conversation, as she interviews experts working in various areas of the industry, from designers to activists. This season at Toronto Fashion Week x RE\SET, she will be hosting three live-tapings of the podcast: “Cannabis – The Next Mega Category,” a look at the cannabis industry and its influence on fashion; “In Conversation with Fashion Designer David Dixon,” and “Won’t You Be My Neighbour?,” a discussion on how fashion shapes neighbourhoods around the world. Aside from producing Fashion Talks, Bishop is a Director of Programming for Canadian Arts and Fashion Awards. She’s an established entrepreneur and a founder of Green Beauty, Canada’s first online boutique dedicated to natural skincare and cosmetics. 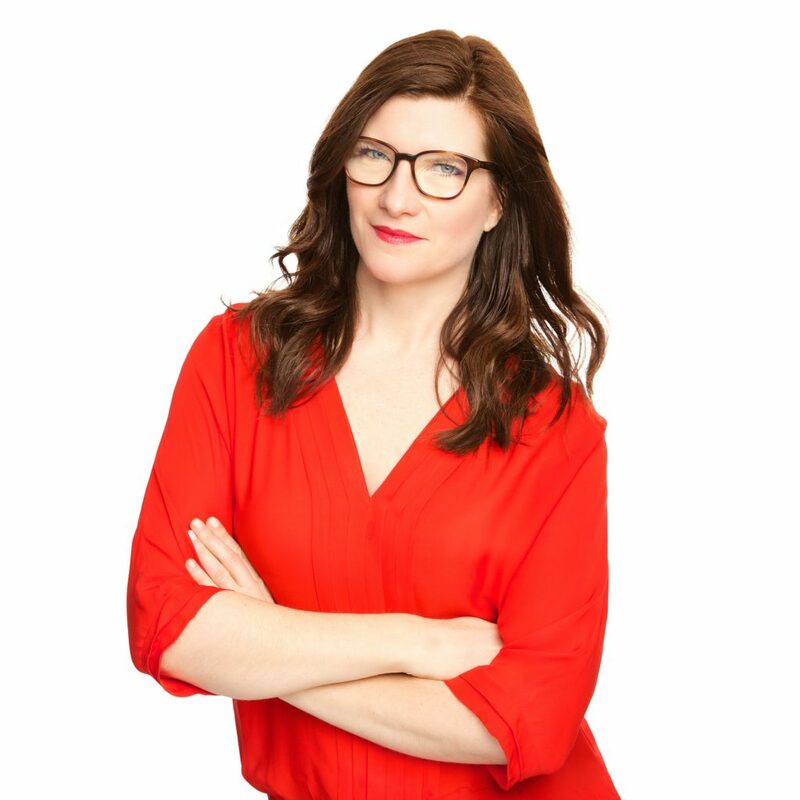 She is also a fashion columnist for “Here and Now” on CBC Radio and a mentor for the Toronto Fashion Incubator. WHAT INSPIRED THE CREATION OF FASHION TALKS? I think fashion is our most intimate cultural expression, because we wear it every day. I love looking at culture, current events and social change through the lens of what we wear. I also am a huge fan of podcasts, so it was a ba-bing kind of moment to combine a medium I love with engaging, relevant, and entertaining conversations about how fashion influences the world we live in and vice versa. HOW HAS YOUR BACKGROUND AS A FASHION JOURNALIST PREPARED YOU FOR THE ROLE OF A PODCASTER? I do love to share stories and make connections. When I am doing a Designer Spotlight episode, it is about connecting with the designer and talking about when they knew fashion and clothing was more than simply covering their body. The other episodes are more about connecting ideas: What is the connection between fashion and LGBTQ+ communities? Were the 1980s the time when fashion became more democratized? How has the British Royal family influenced fashion through the ages? WHO HAVE BEEN SOME OF THE MOST MEMORABLE GUESTS OF THE PODCAST? Truly, I have loved every person I have had the honour of calling a guest on Fashion Talks. Talking with costume designer Luis Sequeira on the heels of his Academy Award nomination for The Shape of Water does stand out as a particularly memorable moment. WHO WOULD BE YOUR DREAM PODCAST GUEST? A first choice would be David Bowie, but obviously, that is impossible. André Leon Talley would be another top pick. He talks a lot of fashion as a cultural expression and has seen a lot in his career. WHAT ARE SOME OF YOUR FAVOURITE TOPICS TO DISCUSS WHEN IT COMES TO FASHION? A topic that I am dying to explore is fashion and music: How does this relationship mould notions of masculinity and femininity? How have these industries worked symbiotically to push each other forward? Another topic is fashion and politics: How do we view notions of power through fashion? How have leaders, male and female, played with fashion and to what ends? WHICH TOPIC ARE YOU MOST LOOKING FORWARD TO DISCUSSING NEXT WEEK? How can I choose just one? I am so excited for all three talks. David Dixon has a very unique source of inspiration that I cannot wait for everyone to hear about. This collection is truly like nothing anyone will have seen before. Discussing fashion within the landscape of our city neighbourhoods is an angle not often taken. Jeanne Beker has obviously travelled the globe, and Fotini Copeland has worked in New York and has so much to say about fashion and Yorkville and the Meatpacking District. Their stories of city transformation are fascinating. Of course, with this being the first season post-legalization, the fashion and cannabis talk is incredibly exciting. We are in the precipice of a new lifestyle category that will permeate every industry, including fashion. Whether you are cannabis-curious, a cannabis enthusiast or not interested at all, you still need to take stock of what this means. People are going to leave that talk blown away.